There are still a lot of question marks surrounding The Man in Black, but here's what we know (or at least think we know) so far: he's a veteran player of Westworld, he's completely familiar with how it operates and now he wants to get more out of his experience by creating his own objective of reaching a "deeper level" of the park. This shares similarities with hackers in real life, who will break a game in order to seek out their own fun. Although they can often be harmless when it comes to the impact they have on other players, there are plenty of instances in which hackers work to actively make a game worse by changing the way the game works. While The Man in Black doesn't exactly operate in such a manner, it's clear that he's attempting to help relieve his boredom of the park's current state by way of venturing to an area thus far unexplored by any other attendees. In order to do so, he's having to treat the park in a manner unlike anyone else, going beyond what its developers expected of its players to travel to places he's not supposed to reach. 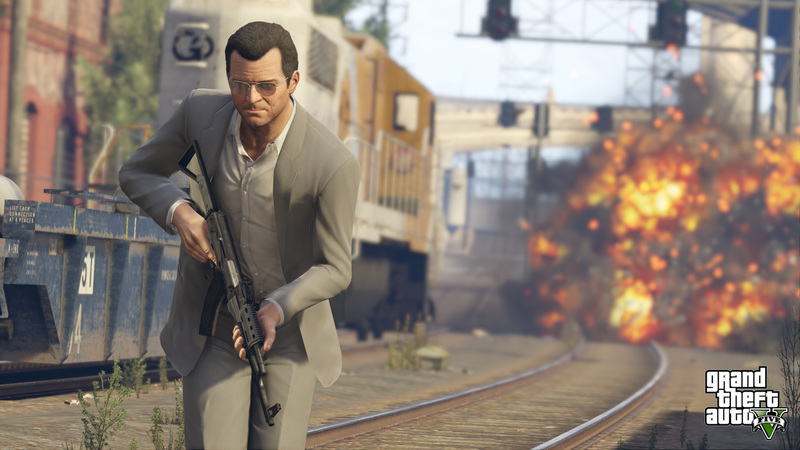 Grand Theft Auto V is one of the games that has been personally listed by Westworld's creators as having influenced the series. While every game in the open-world action franchise shares its parallels with the HBO show, GTAV perfectly epitomizes the kind of decadence and nihilism that is so prevalent in the show's Wild West theme park. Unlike previous GTA games, where the violent acts carried out by the player often ran in contrast to the player-character's moral compass (looking at you, GTAIV), in GTAV you take control of a trio of individuals who are focused upon little more than making a lot of money in the shortest time possible, and who don't let their principles get in the way of this endeavor. This ethos is amplified in GTA Online, which shares even more similarities with Westworld as a result of it featuring player-created avatars and thoroughly loosening the shackles of the already very lax moral code of GTAV's story mode. The comparisons here are easy to make; the game's objectives are of the player's choosing, the AI pedestrians and NPCs serve as its hosts, and it allows them to experience almost complete freedom when it comes to behaving as obscenely as they see fit. Much of the mystery in Westworld surrounds the park's creator, the troubled Robert Ford. While the park is initially pitched as a place that will allow its participants to enact their innermost desires without any repercussions, as the series is progressing it's becoming more clear that there's much more behind its creation than Ford simply wanting to build a nice theme park and make a lot of money. 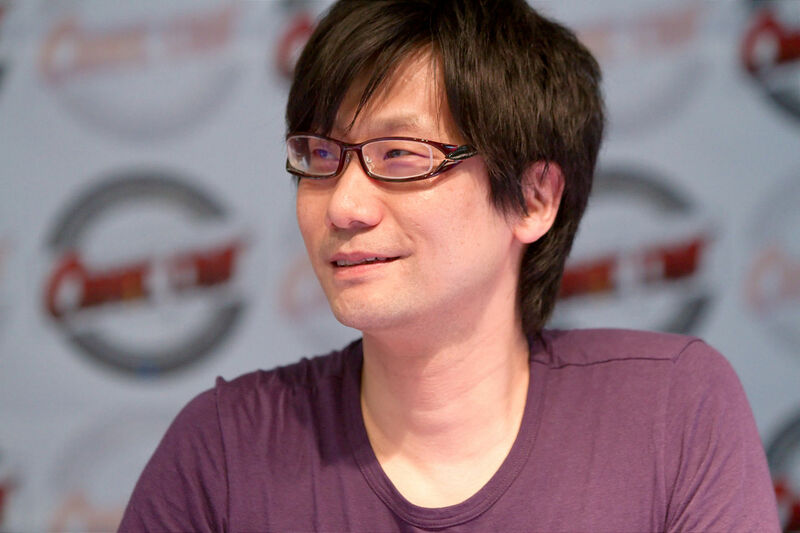 Metal Gear creator Hideo Kojima has already spoken of his love of the show, and the parallels he has noticed between himself and Ford. In particular, Kojima outlined a quote from Ford discussing the attraction of his theme park, with Ford saying: "They are not looking for the story that tells them who they are. They already know who they are. They are here because they wanted a glimpse of who they could be." But the darker edge to Ford and his creation's relationship also echoes what we know of real-world developers, too. Just as Westworld appears to be turning on Ford, we've seen plenty of developers watch as their creations become something they didn't anticipate, and maybe didn't want. Most recently the No Man's Sky controversy saw the game's disappointing disappointing quality leading to it having a severe impact upon its developers, with them being hounded across social media and forcing them into a lengthy public silence. Although it's not known how Ford's life will ultimately be impacted as a result of Westworld, it isn't shaping up well. Westworld's park is very real despite it being populated by synthetic androids convinced they're actually living in the Old West, and experienced by players who are pretending that they are actually gunslingers from America's 19th century. 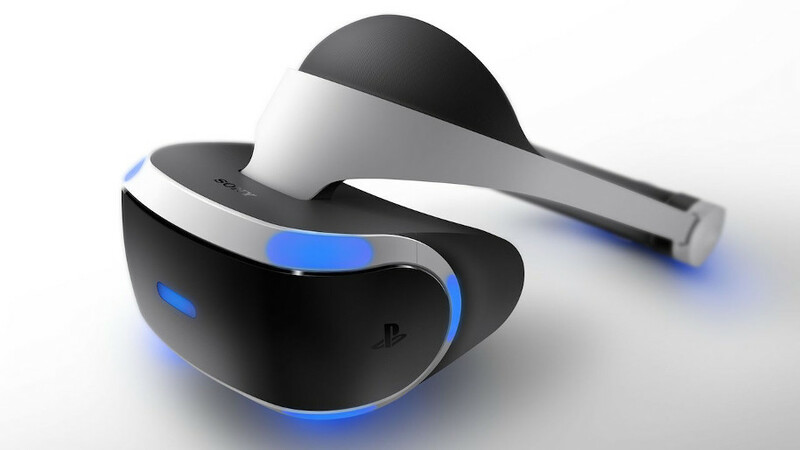 However, given how players are essentially inhabiting a fictionalized world, it still shares a lot in common with virtual reality hardware such as the Oculus Rift, HTC Vive and PlayStation VR. While the human participants of the Westworld theme park are actively venturing into the park rather than hooking themselves up to a headset and being transported there by way of a computer, it's still the same concept as VR; players are visiting a place without real-world consequence (at least for the time being) in order to play a game, even though the game of Westworld is considerably more realistic than what you might find in your PS VR's game library. Still, at least you won't feel the impact of a gunshot when an enemy shoots you down in RIGS. The Assassin's Creed series and Westworld share almost exactly the same concept. The former places players in an extremely realistic but virtual recreation of a different time period, while the latter does the same only using incredibly lifelike robots. Assassin's Creed sees people entering the virtual world by way of the Animus, a machine developed by the mega corporation Abstergo Industries in order to let users experience a virtual reality that uses their DNA in order to place them in the shoes of one of their ancestors. Early in the series the Animus is only utilized by a select few, though eventually it becomes a consumer product as first shown in Assassin's Creed IV: Black Flag. This puts it more in line with Westworld, which has the park being used solely by wealthy paying customers. 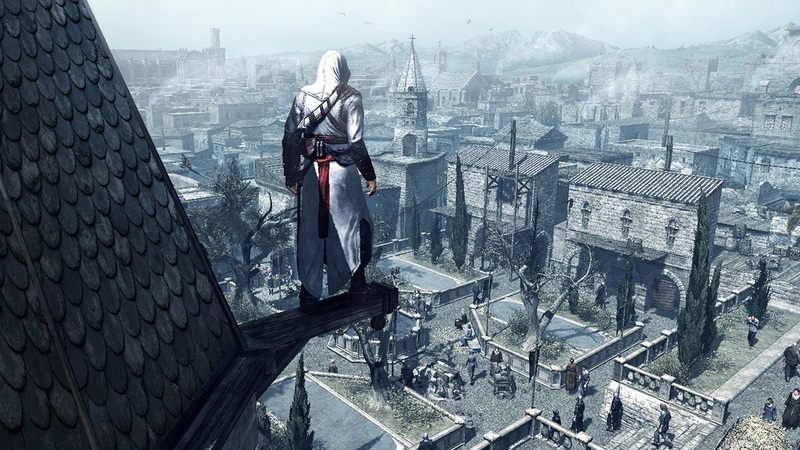 Though the show's creators haven't outright listed Assassin's Creed as an influence, the similarities between the two are too large to ignore. According to Westworld's executive producer Jonathan Nolan, he and fellow producer Lisa Joy Nolan were inspired by a quote from BioShock creator Ken Levine, who noted how players could miss entire conversations between NPCs if they decided to run past them firing their weapons with giddy abandon. This is mirrored in Westworld, though with a much more depressing conclusion as hosts effectively have their memories wiped if they are gunned down by a player or another host. The hosts can have their entire backstories altered if their creators see fit, altering their families, friends and life experiences on a whim. Another similarity between the show and the original BioShock is in the game's ruminations about player choice in the medium. BioShock antagonist Andrew Ryan's familiar phrase "a man chooses, a slave obeys" was, in the game's narrative, the moment in which it becomes clear that the player-character has been brainwashed in order to comply with Ryan's orders. 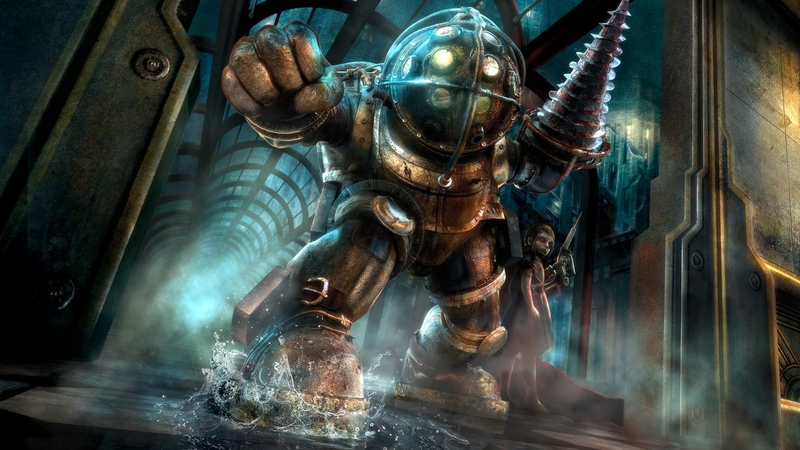 However, it was also a way for BioShock's developers to shine a light on the act of playing a video game itself, and the various often morally dubious actions committed by the player simply because the game has told them to do so. While Westworld grants its player a greater degree of freedom than BioShock's more linear narrative structure, it does see its players ultimately abiding by the game's rules while being granted the illusion that they are free to do as they wish. This leads to The Man in Black attempting to explore beyond the game's intended limitations, which we'll get to later. 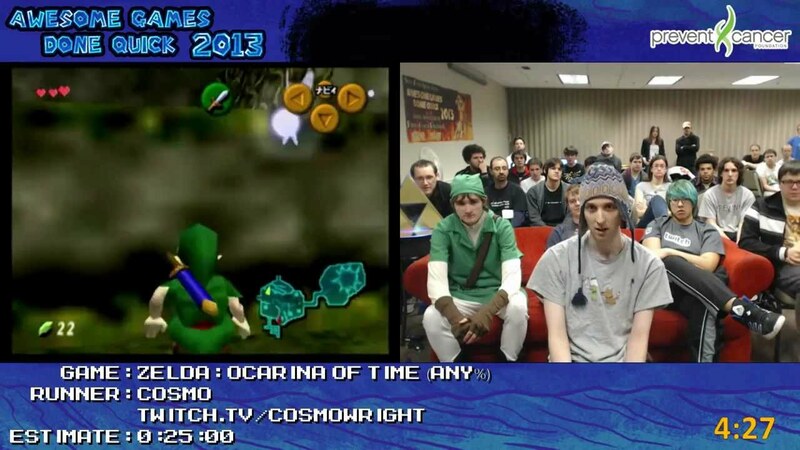 The Man in Black could be perceived as both a mix of hacker and speedrunner, as while his selfishness in reaching his goal more adequately resembles the former, his considered bending of the game's rules in order to do so mirrors the latter. 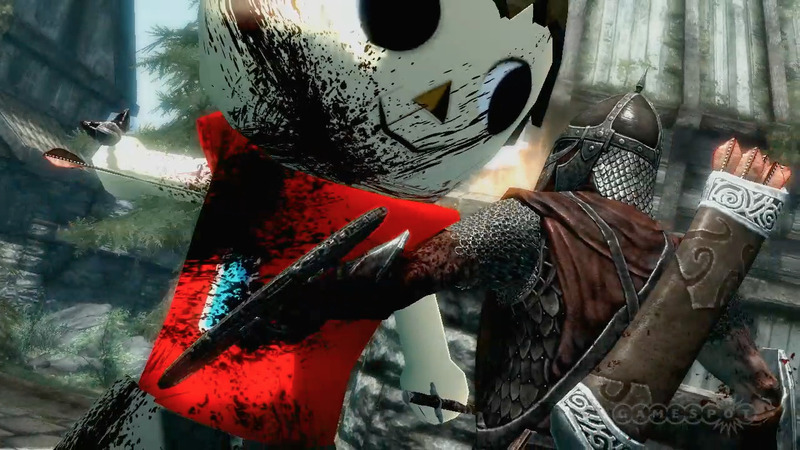 The speedrunning comparisons were first pointed out by AV Club, writing: "Speedrunners have a deeper connection to the games they break than most anyone who’s playing it as the creators 'intended. '” Considering how many years The Man in Black has spent frequenting the Westworld park, there's no doubt that he's more committed to it than any other player inhabiting it, which has led to him needing to fulfill his own objectives in order to continue his enjoyment of it. This is similar to speedrunners, who "break" games such as Super Mario 64 and The Legend of Zelda: Ocarina of Time in order to complete them in the shortest time possible, rather than playing them as they were originally intended. While Grand Theft Auto V may possess the nihilism of Westworld, Red Dead Redemption replicates its setting. It's kinda weird that RDR's mammoth success didn't inspire more developers to set their games in the Old West, but as it stands Rockstar's take on the spaghetti western is one of few games that'll let you assume the role of a cowboy during the American frontier. While RDR does allow players to effectively do what they want in its open-world, one of the main criticisms lobbed against it was that the more heinous crimes you could commit did not befit the personality of protagonist John Marston, a former gang member who retired from his previous life in order to keep his head down, tend to his farm and take care of his wife and son. The players in Westworld are bound to no such principles, and can effectively do what they wish within its world, no matter how despicable. 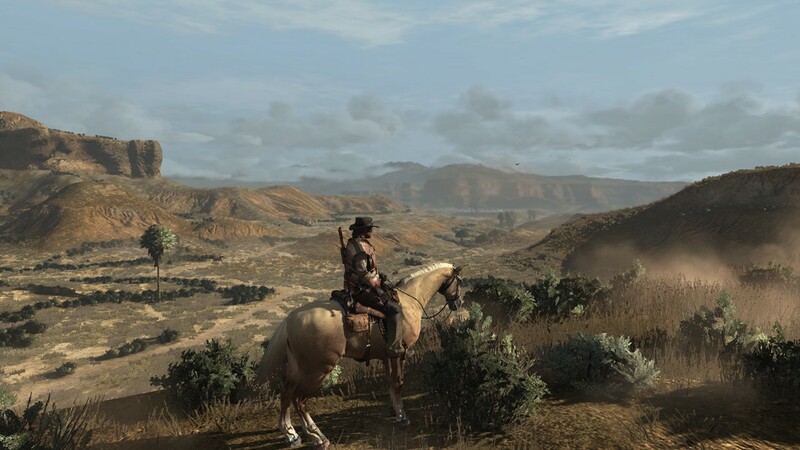 Nonetheless, given that RDR is essentially GTA's concept transported to 18th century America, there are an abundance of similarities to the HBO show. Both are unflinchingly violent takes on the same time period, both feature amoral gunslingers only interested in their own well-being, and both have immaculately dressed people wearing fantastic hats riding horseback. Westworld doesn't share close similarities with any specific MMORPG, but rather it embraces a number of staples of the genre. The most obvious comparison would be the sheer number of players inhabiting it - though the show hasn't outlined a specific "player count," we do know that there are plenty of people in its world. 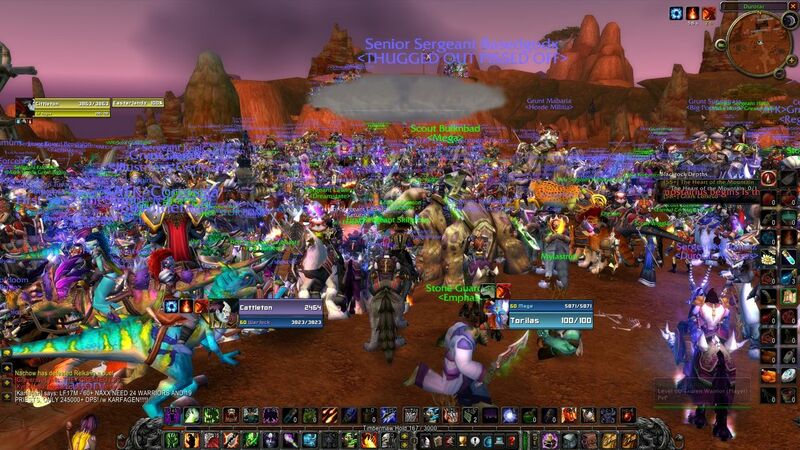 There are other nods to MMOs littered throughout the show, such as the NPCs offering quests to players and the forever changing line-up of content dished out by its creators. In Westworld, the creators manually change the behaviors of their robotic hosts in order to alter the way the events of the game, while MMO developers can change their gameplay by way of expansions, patches and other assorted DLC. The Fallout series has many parallels with Westworld in that it gives players a nigh-on lawless world in which to live out a second life. In Fallout, the presence of the karma system allows you to impact upon its world as you see fit and have the world react to your decisions. If you're a do-gooder, you'll be revered by the innocent and reviled by the abhorrent, while being a bad guy will lead to you being feared, despised and hunted. The same can be said for Westworld, with the park's players able to choose what kind of mark they want to leave upon the world and its inhabitants. 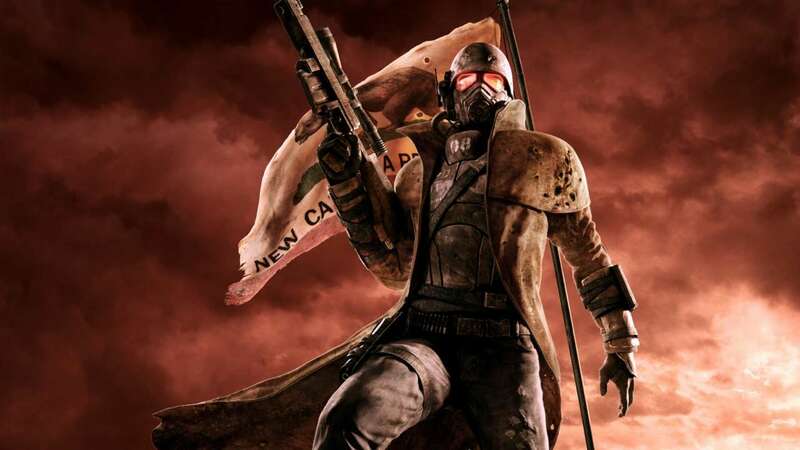 We've vouched for Fallout: New Vegas in particular because while many of the games possess something of an Old West theme, the Fallout 3 sequel is a lot more "cowboy" than the other entries in the series.